Good news, everyone! Well, good for me and possibly good for you if you’re inclined to read Edge Magazine. Because my mutterings on the psychology of games are now appearing there. Specifically, I have an article about the psychology of free-to-play games in the latest issue (April, #239) with the cover below. The article is also available to read online here. Look for this cover at your local bookseller, news stand, and fishmonger. The article looks at how two lines of research illustrate ways that free-to-play games may take advantages of human psychology to get us to cough up real money more than we may prefer. One way is by sapping our mental reserves and then appropriately timing sales pitches when our self restraint is taxed. The other line of research is how the different kinds of jealousy are better or worse and making us want to close the gap between us and other players who are showing off their new goods. Dr. Roy Baumeister and his colleagues pioneered this concept of “ego depletion” in a series of experiments at Case Western University. They had subjects exert self control by requesting they eat raw radishes instead of delicious chocolate chip cookies that had been left out on a table, and observed them through a one-way mirror. Some people looked longingly at the cookies or even picked them up to slyly sniff at them when they thought they were alone, but nobody bit into them. With these subjects’ mental reserves sapped by self restraint, the researchers had them engage in a series of problem-solving games. Relative to a comparison group that was allowed to eat the cookies, those who had to exhibit self control lost patience with the game and called it quits in less than half the time. In a follow-up experiment the researchers depleted their subjects’ self-control by having them suppress smiles while watching a stand-up comedy routine, and their findings in terms of how long this group would persist in a word puzzle game were similar. What these experiments showed was that self-restraint takes something out of you, and with it gone you’re more likely to give up on boring or difficult games. It’s not difficult to see how the same could be true of game-based tasks that we’re all more familiar with, such as grinding out reputation points or taking the long way back to town instead of simply buying reputation ranks or fast travel spells from an in-game store. In fact, there’s evidence that this kind of ego depletion brought about by exerting self control can make us more susceptible to making impulse purchases. It’s a neat article, and if you see the copy of Edge magazine in the store please pick it up and see if you think it’s worth buying. I’ve got more articles coming in future issues, and one of the neat things about writing for Edge is that they’re providing me with a lot higher word count to work with than GamePro did.1 This lets me flesh out the ideas a lot more and work in illustrative examples and quotes. The end result is longer, but it’s also more complete and I think more fun to read. 1. No offense to GamePro, by the way, but it proved difficult to continue writing for them after they went out of business. I’d love to read the whole of that article, but they don’t sell that magazine where I live. 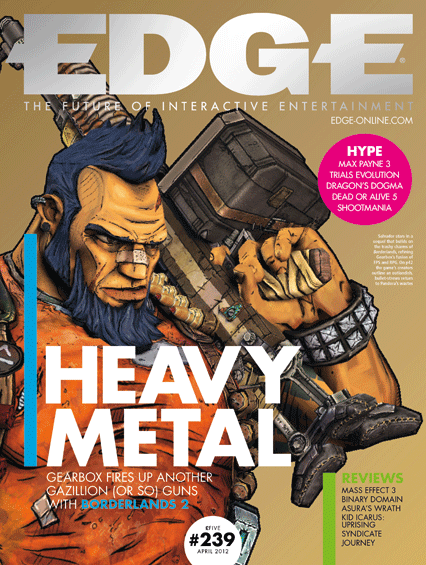 Any chance of you posting the full article in a month or two, when that Edge issue is out of print / gone from the stores? Or is it licensed to Edge or something like that? Unfortunately no. Edge owns the article, so unless they post it on their website you’d have to get the magazine. I believe they sell digital copies of the magazine through their iOS app, too.